No time to make the trip to one of our shops in Southampton or Tobermory? Let us take the stress out of your summer holiday with our boat delivery service. 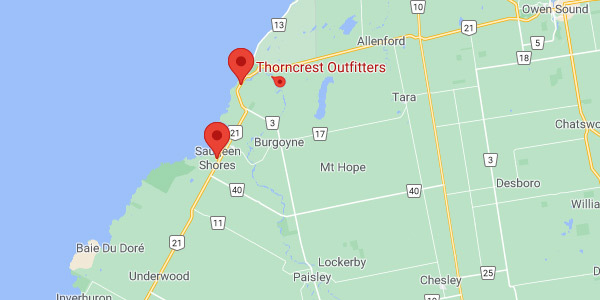 Thorncrest Outfitters can deliver your canoe and kayak rentals to your home or cottage, throughout Bruce and Grey counties. Delivery rates are per boat and include drop-off and pick-up, charged up to a maximum of 4 boats to one location. Please ask for our Delivery Service when booking your rental at 1-888-34-KAYAK(52925) or www.thorncrestoutfitters.com. Boats must be returned to the flagpole for pick-up. Paddles and life jackets must be returned to the store. Please ask in the store for return times. Please ask for our Delivery Service when booking your rental.